There are many ways to get rid of your rubbish including hiring a skip bin or driving to the local tip. However, a rubbish removal company will do all the hard work for you. Choose a professional service such as All Trash Oz Sydney to get rid of your junk and dispose of it properly. Here is how to choose a rubbish removal service in Sydney. Experienced companies can get in, get the job done, and dispose of your waste correctly. They should be able to lift heavy items safely and recycle and reuse items. Dangerous waste that is inflammable or toxic should be handled safely and disposed of correctly. Knowing the ins and outs of rubbish removal and disposal is a key feature when looking for a Waste Removal Service in Sydney. Your waste removal service should be able to take all of your rubbish. Let them know what you require and see if they can accommodate you rather than wasting time and money. Being able to handle all types is a great indicator of experience. Look for Rubbish Removals in Sydney that can deal with your “Household Rubbish, Green Waste, Commercial Waste and Rubbish“ created from building or renovating. Make sure the service includes all the heavy lifting and cleaning up afterwards. You are outsourcing waste removal to free up time for you so make sure they perform all the services you want them to. Commercial Rubbish Removals in Sydney should make it easy for you by taking away your waste and cleaning up so you don’t have to. A basic web search will help you find many options for Commercial Rubbish Removals in Sydney. However, you need to check that they service your area. If you get someone out of town they may charge extra to get to you so it’s best to choose a reputable local company. Make sure the company you can choose can come when you need them. It’s no use if they can’t fit in with your schedule. It’s important to find waste removals in Sydney that are accommodating and can pick up waste from your home or business. 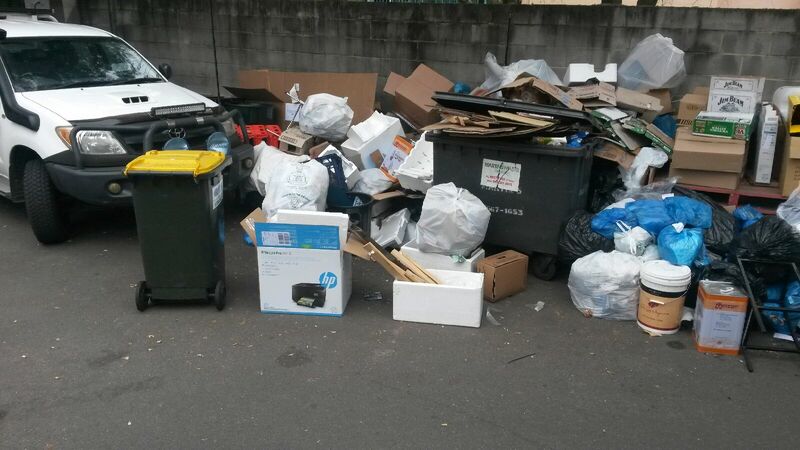 All Trash Oz Sydney are experienced in getting rid of rubbish in varying volumes and of all types. They know how to recycle and reuse particular items and will dispose of the rest safely. If you are in Sydney consider using a dependable company such as All Trash Oz Sydney.